This post will be talking about plot elements for HBO’s Game of Thrones, the excellent adaptation of the A Song of Ice and Fire series by George RR Martin. Specifically, I’ll be talking about Petyr “Littlefinger” Baelish. Everyone Likes Me! I’m So Charming! Spoiler Alert: I don’t like him. Regardless of the warning he gave Lord Eddard Stark (saying “hey, don’t trust me”) he still was part of the coup de main which totally ruined a peaceful transition of power and screwed over my man Ned. He’s the architect of a lot of misfortune in Westeros. Although that’s another reason why I don’t like him, it’s why people tend to respect his Machiavellian machinations. They grudgingly (or openly) admire his puppet-mastery. I’m not really inclined to give him that much respect. I do like the actor in the role, and the ambitious character of Littlefinger is great for the story, but I just can’t give him too much credit. I don’t think he’s as clever as he thinks he is. 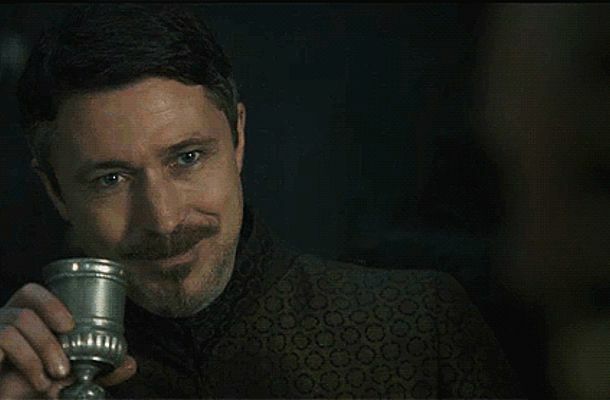 Talking about Petyr Baelish can be difficult if we’re trying to assess how much actual successful Illuminati-style action he’s responsible for, or planned on happening. From the books, there are no Littlefinger Point of View chapters, but he does occasionally open up in the later books to Sansa. He doesn’t take explicitly take credit for a lot of things, but he does seem to benefit a lot from the chaos. I like these scenes, since they humanize Baelish’s character a bit. Watching him overplay his hand or have to adapt makes him more interesting. It’s a bit hard to swallow that he’s such a super-mastermind that he can carefully plan out every wrinkle of what’s to come. Not even Melisandre is that good. 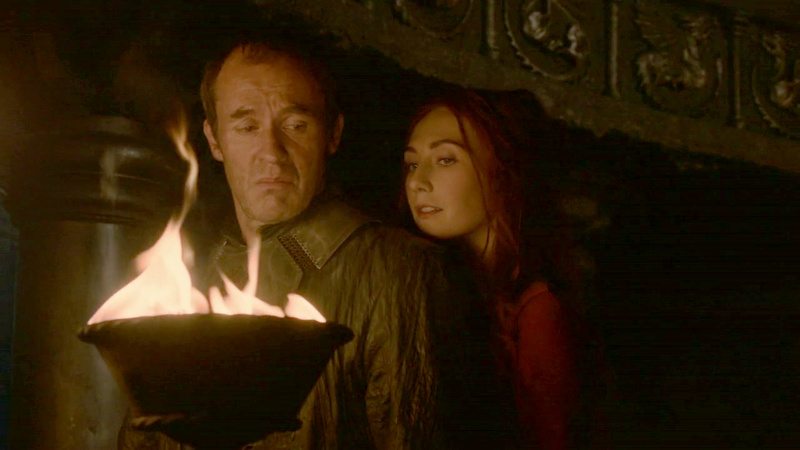 Melisandre, are you sure we should be spending our Mercenary Budget on the Braavosi Lotto? Is it a diminishment of the Baelish character for the viewers to see him make mistakes that aren’t seen in the books? Maybe. But we have such a limited window of observation on Baelish. Ned doesn’t like him but feels forced to deal with Littlefinger out of respect for Catelyn’s vouchsafing of him. Catelyn is clearly biased in her little Petyr’s favor, remembering the playmate from her youth and not the ne’er-do-well he’s become. And Sansa likewise sees Littlefinger through a lens passed down from Catelyn. Outside of these point-of-views, Littlefinger might be the mustache-twirling, smirking villain, who occasionally puts his foot in his mouth, it’s just not explicitly seen. After all, he did miscalculate in telling Catelyn that he lost his Valyrian steel dagger (the one used on an attempt on Bran’s life) on a wager with Tyrion Lannister. Tyrion had bigger fish to fry when he was acting as Hand of the King, but the reason he was arrested by Cat Stark and thrown in a sky cell, based on an accusation corroborated by a Littlefinger lie, isn’t something he’d likely to forget. I can appreciate that Baelish has made some long-term plans (long-term is a relative term when talking about epochal-events that the Wall is a part of) and has positioned himself to take advantage of disorder, but in many ways he’s been lucky. He certainly set the stage for things to start happening by killing Jon Arryn and blaming the Lannisters for it. That did get Catelyn in a suspicious mood, but he needed the random act of Bran encountering Jaime and Cersei less-than-dressed to kick that into overdrive. It was chance that brought Catelyn and Tyrion together at the Inn, resulting in his arrest and the war. Renly would have crushed Stannis and then attacked a vulnerable King’s Landing had Melisandre not intervened, giving Baelish the chance to woo the Tyrells onto the Lannister side. 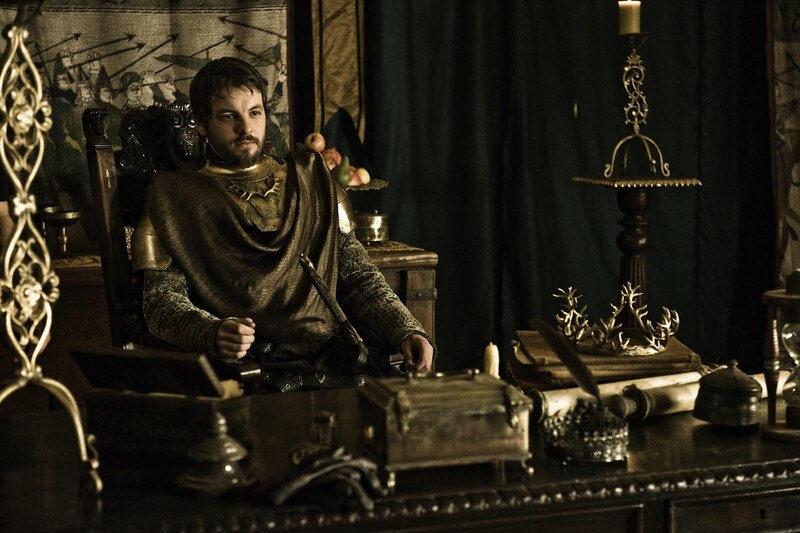 Renly, if one recalls, did not favor Littlefinger. That’s Right! Butthead Baelish was my name for him! Littlefinger had nothing to do with that other than being at the right place after Renly was killed. Had Tyrion not successfuly crippled Stannis‘ forces before the allied reinforcements arrived, Stannis would have control of the city with a powerful army. It’s doubtful that Stannis would have granted Baelish the title of Lord of Harrenhal, which he needed to pave the way to marriage with Lysa Arryn for de facto control of the Vale. Now, I’m not saying that Littlefinger wouldn’t have had contingency plans if things worked otherwise. Once the stage had been set for a Lannister/Stark war, it was probably going to happen regardless. I’m just saying that I’m not sure what Littlefinger would have done to get to his lofty position at the end of Season Four, in control of the Vale and potentially in control of the North, by sheltering Sansa Stark Lannister. I must admit that none of their scenes, where they’d verbally spar and give some context and texture to what was going on, really made a lot of sense to me. I couldn’t imagine these cloak-and-dagger types literally having these conversations. Although the scenes felt surreal (like these exchanges were just going on in their heads) I didn’t mind because the back and forth was great and sometimes exposition shouldn’t have to happen in a brothel. These Two Really Deserve a Web Series In-Between Game of Thrones Seasons. Varys: The thousand blades. Taken from the hands of Aegon’s fallen enemies, forged in the fiery breath of Balerion the Dread. Baelish: There aren’t a thousand blades. There aren’t even two hundred. I’ve counted. Varys: Huh! I’m sure you have. Ugly old thing. Baelish: Yet it has a certain appeal. 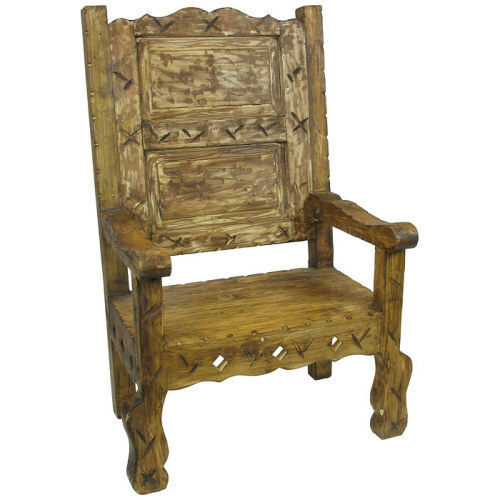 Varys: The Lysa Arryn of chairs. It’s a shame you had to settle for your second choice. Varys: I did what I did on behalf of the realm. Baelish: The realm. Do you know what the realm is? It’s the thousand blades of Aegon’s enemies. It’s a story that we agree to tell ourselves, over and over, until we forget that it’s a lie. Varys: But what do we have left? Once we abandon the lie? Chaos. A gaping pit waiting to swallow us all. Baelish: Chaos isn’t a pit. Chaos is a ladder. Littlefinger is obviously talking metaphorically about chaos being a ladder, I know. But he’s weirdly obsessed on the detail that the throne is composed of less than 200 blades, instead of the 1000 blades that are mentioned. This discrepancy in the amount of sword horsepower represented by the chair seems significant to him. He took the time to count them. And because less than 200 swords were used to build the chair (which is debatable, we’ll get to that in a moment) he implies that the realm is an illusion, a lie. 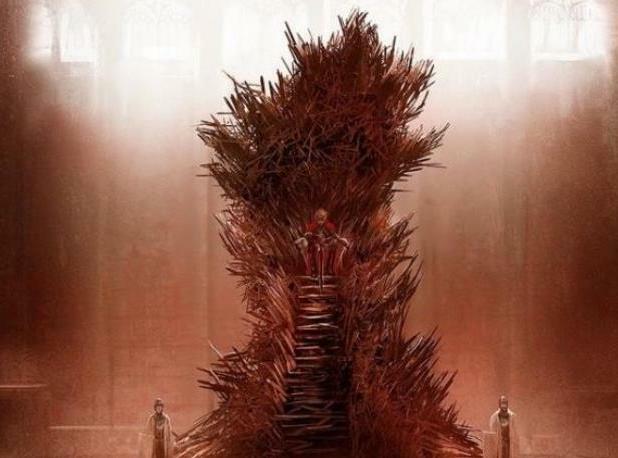 So, if the chair actually was composed of 1000 blades, the realm would not be a lie? The fact of the matter: Aegon the Conquerer took over Westeros via dragon-power. Balerion the Black Dread melted down *some number* of conquered enemy swords as a symbol of the Targaryen triumph over opposition. That’s not a lie. It’s not an illusion. The actual number doesn’t matter. Particularly because there’s no word of the number of swords slagged by dragonfire before the brave smiths working on the throne project got into the rhythm of working with the hot metal right next to a dangerous dragon. 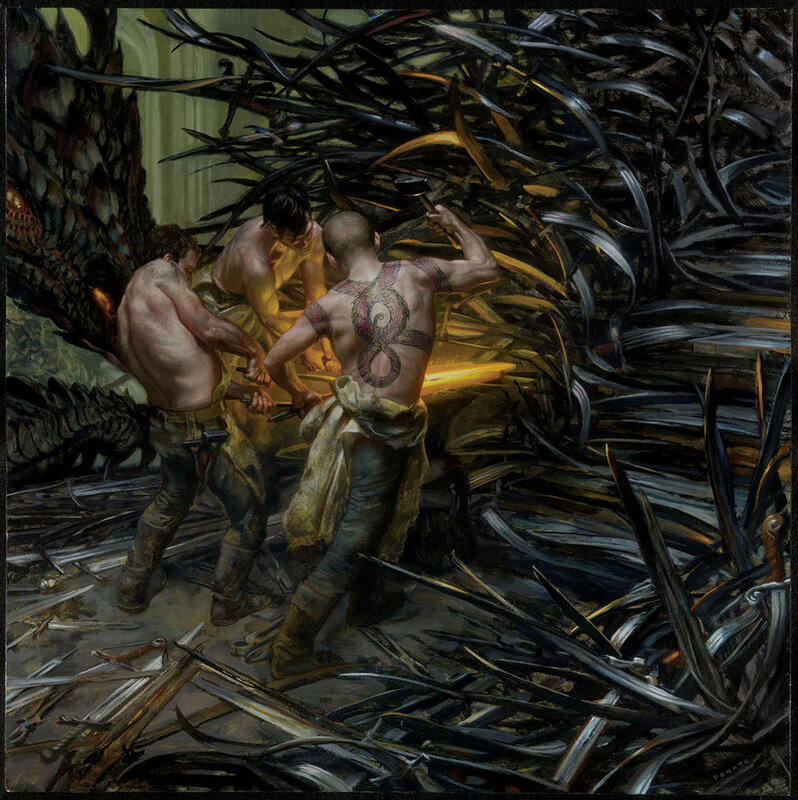 Blacksmith’s Apprentice: King Aegon just sent 1000 swords in the wagon, he wants them formed into a chair. Oh, there’s his dragon too. Blacksmith: Bloody Sevens. Okay put them in that pit. But back to Littlefinger and his ladder metaphor. Okay, Littlefinger is obviously working with the classic “the Chinese character for Risk also means Opportunity” ethos. Creating chaos shakes up things and provides the opportunity to improve one’s position. He ends his speech by talking about those who are unwilling or unprepared to try and seize opportunity during chaos. Littlefinger: Some are given a chance to climb. They refuse. They cling to the realm, or gods, or love. Illusions. Only the ladder is real. The climb is all there is. I give Littlefinger respects for being prepared to take advantage of the chaos he’s being sowing. Murdering Jon Arryn and having Lysa Arryn direct Catelyn Stark’s suspicious and paranoid eye on the Lannisters set up the conflict that eliminated the shadow of his rival Brandon Stark, broke the realm into war, granted him Harrenhal as reward for fixing what he broke, and allowed him to marry (and eliminate) Lysa, putting him in charge of one of the Seven Kingdoms. In his estimate, he would have climbed far up the ladder, further and further away from Varys’ gaping pit of chaos that’s waiting to swallow people up. But at the top of his ladder was another pit. Chaos Might be a Ladder, Littlefinger, but Stability is a Parachute. Falling from such a height would give Baelish time to reflect on his plan’s flaws. 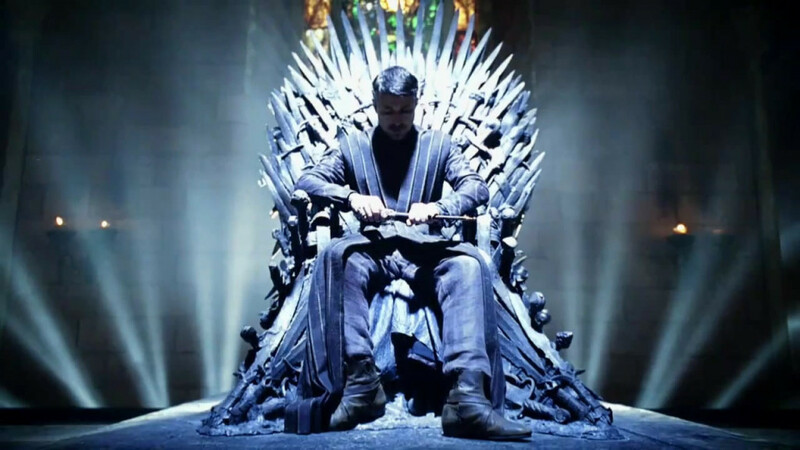 To wrap up, I don’t list Littlefinger off as one of my favorite characters, although I respect the role he is playing, and he certainly has combined cunning, planning, and luck to get ahead. Some people really like him, and that’s fine with me. Nothing Bad Happens to Anyone Sitting on That Chair, Right Folks? Because if there’s a critical mass of people who make Littlefinger their favorite character, it’ll increase the chances of George RR Martin bumping him off. I loved the last line 😀 Yes, let us pretend we like Littlefinger. During one of our recent discussions among friends we were talking about Littlefinger and I compared him to the Sakuni character in India’s epic saga Mahabharata. But then as everyone else pointed out Sakuni had revenge as his motive to set the balls rolling for that epic battle. And that Littlefinger has a very selfish motive. But what does he want? He wants the throne ? Or to get back Catelyn, which he failed so he goes for Sansa? What is his actual motive? Or is it that he just likes the game and is both clever and lucky at it ? I never realized that he wasnt a POV character. Littlefinger has a tell for when he’s lying. It’s when his mouth is moving and words are coming out? Yeah I don’t particularly like him. That’s probably why no one minds when he messed up more in the tv show, because he’s the sort of guy you want to see mess up. You’re right a lot of what he’s done is just be in thee right place at the right time to take advantage of things. I didn’t realize that the spider talked to littlefinger in the show. I too don’t think that would happen, but I’m glad it was entertaining. Fun poll. I’ll call him my favorite to get Martin to kill him. Thanks Molly! If we get a Pro-Petyr movement going, we’ll doom him! I think that view downplays his abilities a little too much. One thing not mentioned in this post is that he has excellent ability to make himself needed (or perceived as so), which got him from a minor lord to master of coin and the small council. Also, the vast majority of really successful people in business, politics, etc, consistently put themselves in BETTER position to capitalize on events with uncertain outcomes and are better at hedging their risk. Either they are better at predicting future outcomes and/or manipulating the factors that determine outcomes. Petyr does it all by aquiring better knowledge and giving people what they want- another one of his exceptional skills. His spy and relationship network is vast. Baelish throws a wide net, because the success rate of executing a truly difference changing plot is small. Perfect example, Ned vs. The Lannisters for control. He organized perceptions, then reality, to create a situation where he could capitalize on several different outcomes. By the time Catelyn was chillin in Littlefinger’s brothel, Petyr’s only concern was maximizing the value of his move. If King Robert doesn’t die? No problem, Petyr can still earn a smaller positive return (like he did with Roslyn!). But when the right situation comes up to bet big (double cross Ned), Petyr is prepared to risk it all. This combination of putting himself in position to accumulate several small-medium gains without taking much in losses while he waits for just 3 or so big moves to come together out of the hundreds he plotted, is what makes me appreciate his skill. Just one more quick example I feel demonstrates Petyr at work: his plan to marry Sansa to Loras. This is a low risk play with a relatively low potential value. However, regardless of success or failure, he gains the value of a stronger relationship with the Reach. A relationship he established by playing match maker for Joff. We know now the Reach and Petyr parlayed this failure into a plan to kill Joff, and Petyr gained an incredibly valuable asset in Sansa. I think the perception of him being lucky fails to account for the real life probabilities involved and his ability to better estimate and influence outcomes. Before I begin my counter to your comment, I want to thank you for replying! This is an old post, and I appreciate you reading it. I’m not saying that he’s just been lucky, he’s always trying to position himself to be flexible and able to best take advantage of a situation. Fortune favors the prepared. But self-serving interests when put against the threat of the incredibly patient and implacable long-term doom of the coming of the White Walkers is a problem, if he’s bringing the realm into chaos so he can profit, but a state of non-chaos is helpful in preventing the Others from sweeping down. Unless Littlefinger plans on negotiating with the Others, offering them access to ships to get over to Essos, so they can take over both continents, as long as they let him be king. In which case, he gets points for being able to make the best of that situation, by selling out all of humanity. I think more than anything Littlefinger is an opportunist. He’s lucky, and has a STRONG self of self preservation, but ultimately he’s concerned about what’s happening right in front of him. He’s too selfish to see how his actions affect the whole realm because he’s so caught up in playing the game for the game’s sake. And “The Lysa Arryn of chairs” is one of my favorite lines. 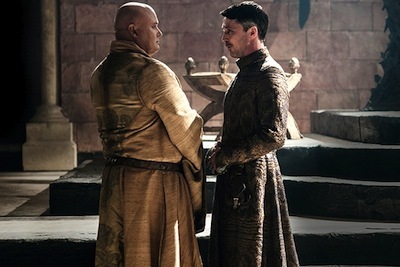 I wish they had Emmys for ‘best delivery of a single line.’ Conleth Hill would have taken it in a walk! Varys’ line deliveries are the best, I totally agree. Divided between options 1, 3, 5!!! 🙂 the options are in random order for everyone, but I can guess the three options! I hated him in the books. The TV show…? I can’t say I like him, really, but I like watching the actor play him. I have mixed feelings about whether I want him gone or not. Although I don’t like him, he adds some interesting conflicts to some of my favorite characters–and I can’t make up my mind if that’s a good thing or bad thing! I think I love to hate him in a more twisted way than I did with Joffrey, who I know for sure whether or not I want dead. Yeah, I certainly see where you are coming from. I wanted Joffrey dead pretty quickly, I’m fine if Littlefinger gets served justice further down the line. After he’s climbed up a ways more. Then gets pushed by Sansa! 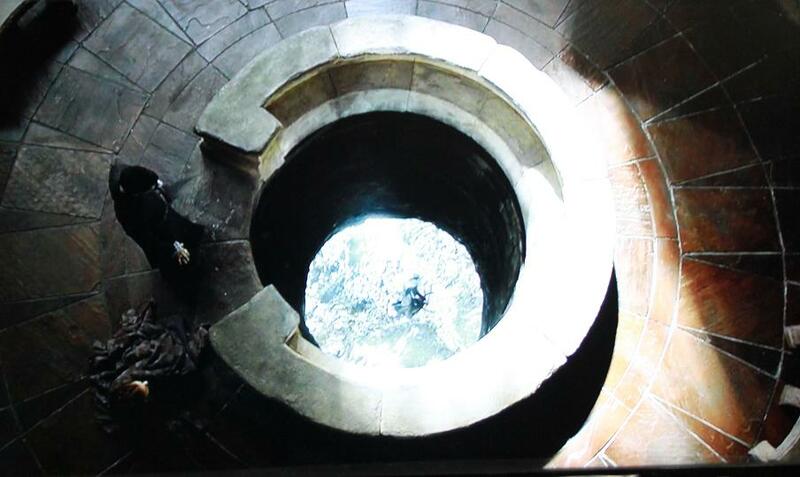 The climb is pretty much the pinnacle of Littlefinger’s Littlefingerness, with his ladder monologue offset with the details that the fate he had alluded to to Ros in Season Two had befallen her. Ugh. Baelish. Glad you enjoyed the article, I enjoy spending my time between seasons producing them. Good post! I actually love Baelish, but you do have some valid points. I think one of the main points of his appeal (to me at least) is that he….. kind of came from nowhere. After all, his grandfather was only a hedge knight. Besides he’s just a ton of fun to watch/read. I love his ladder analogy, and I think it actually kind of works, because of his nature. Baelish is destructive and ambitious in nature, and to him, there doesn’t need to be a reason to “climb the ladder”, it’s just something he has to do. He wants to know he can reach the top, the same way that a mountain climber wants to, and he wants to have the sense of achievement. Of course, he might be climbing it because of some insecurity about not having Cat…… but who knows? Right on! I have no issues with your appreciation of Baelish, particularly his rise from obscurity. And he is a great character in regards to making things happen.